At CES this past January, we saw what I believe were the first concrete signs of an 8K TV ecosystem. They included the demonstration of a number of production ready 8K TVs from companies such as Changhong, Hisense, LG, Samsung and others. 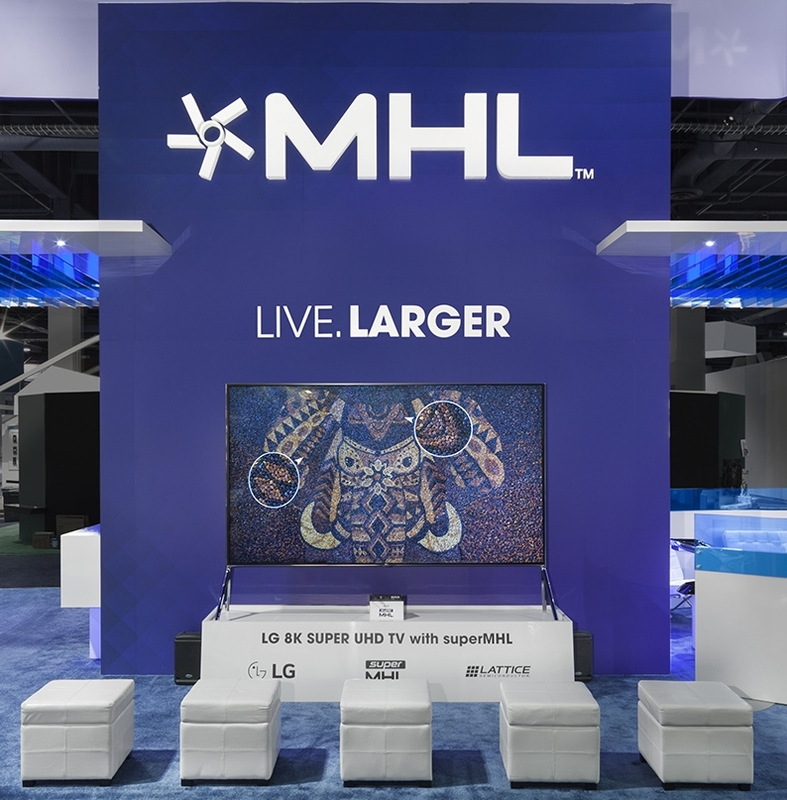 At the MHL Consortium booth we were pleased to demonstrate the LG 8K SUPER UHD TV with video connectivity enabled by superMHL. You can check out a short video here. The industry’s drive to 8K is fueled by a desire to increase the immersive experience for viewers that is perhaps best articulated by Japanese broadcaster NHK. You can check out their roadmap here. The immersive nature of a TV image is influenced by many variables including the screen resolution, the number of bits used to represent color, the color representation used and the frame rate. Perhaps most immediately noticeable is the resolution of the screen. By increasing the resolution of the screen, viewers can sit closer to the screen before they see the pixels. This leads to the screen occupying a larger amount of the viewer’s field of view. With 1080p (2K) displays, the optimum viewing distance is 3x the display height. At this distance the screen occupies 30 degrees of the viewer’s field of view. 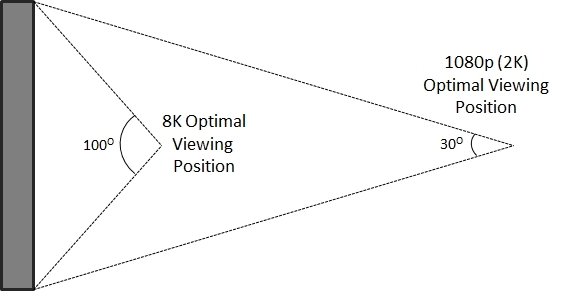 With 8K the optimal distance is reduced to 0.75 which represents 100 degrees of the viewer’s field of view. I have been asked by many people about the timeframe for 8K TVs. For me the best way to think about this is to compare 8K with 4K. About six years ago we saw multiple manufacturers demonstrating their initial production-ready 4K TVs and the content was nonexistent. Today prices are close to $500 and consumers can choose from a variety of streaming and disk-based content. In much the same way I expect affordability of 8K TVs and availability of content to dramatically improve over the next few years.